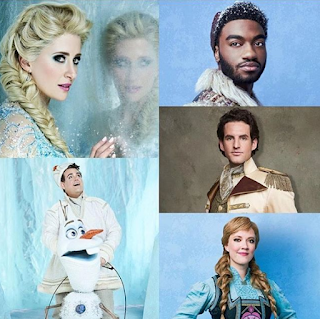 Disney's 'Frozen' Hits Broadway - Hot Hit Or Not? 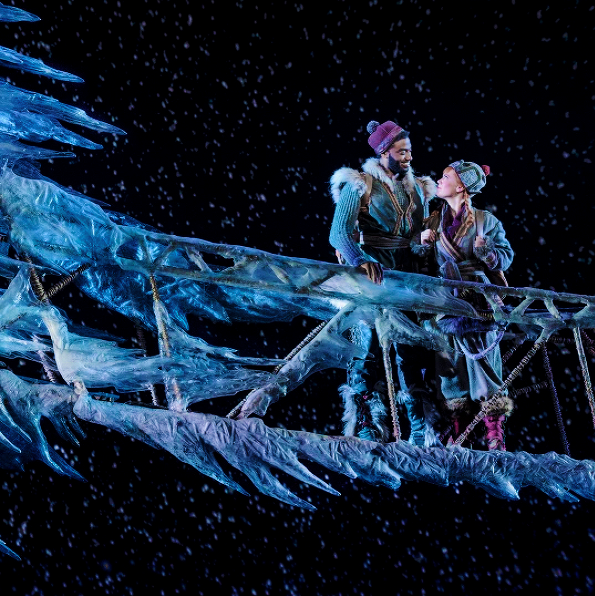 At this writing, Disney's Frozen has officially opened on Broadway and is in previews. There's no doubt it's going to make a boatload of money - at least initially. (Reports are coming in that it's already made back its production cost of $25-$30 in just two nights). But will it be a good show? 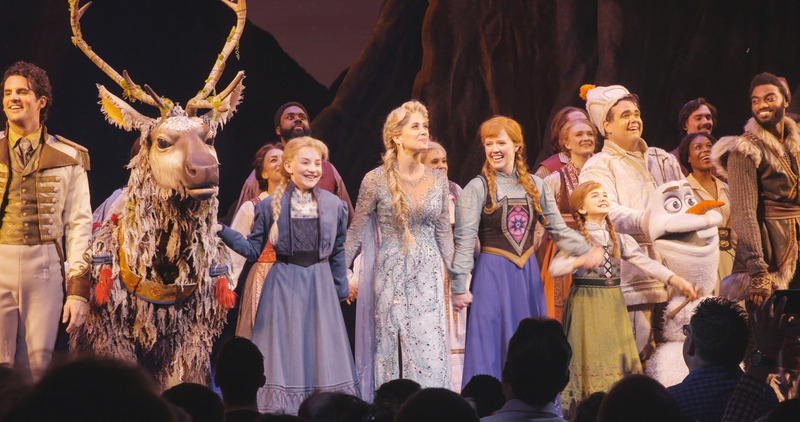 Why is it so daunting to bring Frozen to the Broadway stage? 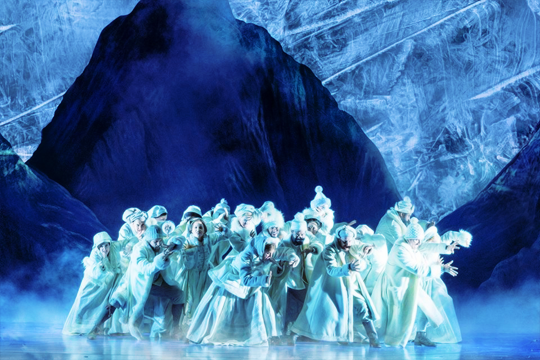 Frozen has the equally enviable and unenviable issue of continuing to be so ridiculously popular that it's both a guaranteed crowd draw and a great risk to make any deviation from the movie - whether that's costumes, songs, story details or structure. But Broadway is supposed to be more than 'the movie on stage'. It's supposed to be a true, stand-alone theatrical experience. Everyone wants another Lion King success story, of course. What people forget about The Lion King, is that, at the time, it was Disney's most successful movie to date; bigger than The Little Mermaid, bigger the Beauty and the Beast, at that time. It was a monster hit with audiences and critics and the popular and sought-after merchandising added to the very real pressure to keep everything 'familiar'. (In the years since, Princess Culture and its associated marketing have kept the profile of the other two much higher and contributed to a greater 'long term stock' success.) To say "yes" to Julie Taymor's vision for The Lion King on Broadway was one of the riskiest moves the Disney Company, as a whole, made in a long time. 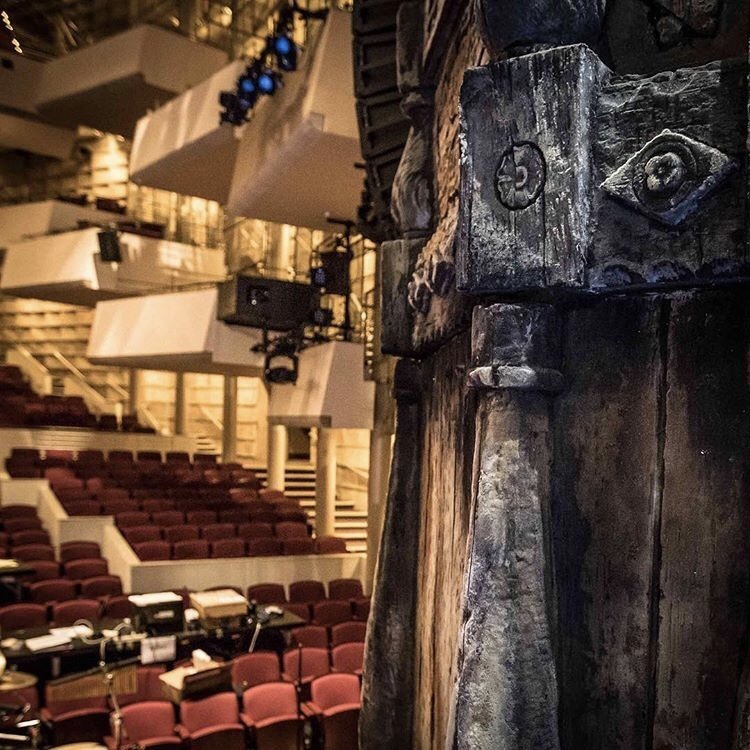 The Lion King on Broadway now exists as a separate entity from the movie, and it's argued that this is part of it's continued staying power. Twenty years on, The Lion King on Broadway remains a sell-out show. But it certainly wasn't guaranteed at the time. The Lion King was a risky experiment gone right, and duplicating that success has never happened. 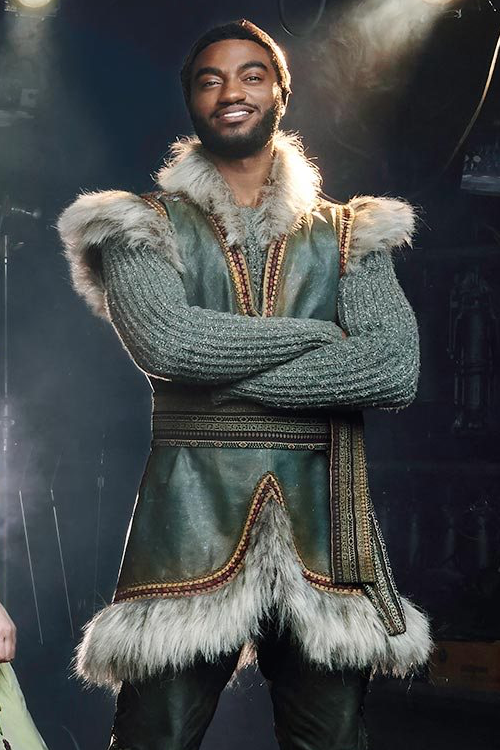 Disney's Aladdin on Broadway, after false starts, and much criticism and worry, is finally finding its feet and is considered a (decent) hit. 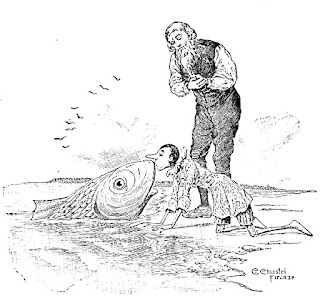 The Little Mermaid is considered as "not having translated to success" (to put it in company terms) and 'over-produced'. Beauty and the Beast on Broadway, which stayed closer to its source material in look and execution than Lion King but took a few risks as well, is also a "Broadway keeper" but still doesn't approach the success of The Lion King. So where will Frozen ultimately land? 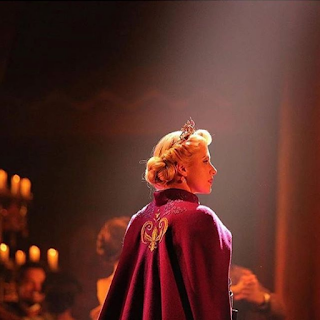 From all reports to date, Frozen is leaning more toward Beauty and the Beast than The Lion King, in terms of the Broadway experience, but it is still 'early days' and despite having full production tryouts, it's not unheard of for changes still to happen in the first few months. The biggest criticism of the show is that it is "obviously trying to straddle two worlds": that of including all the familiar and beloved elements audiences expect/want to see and that of trying to create a fresh take on the film and make it, its own experience. The problem seems to be that - at the moment - it isn't completely successful on either front, making the Broadway experience a bit of an inconsistent one. 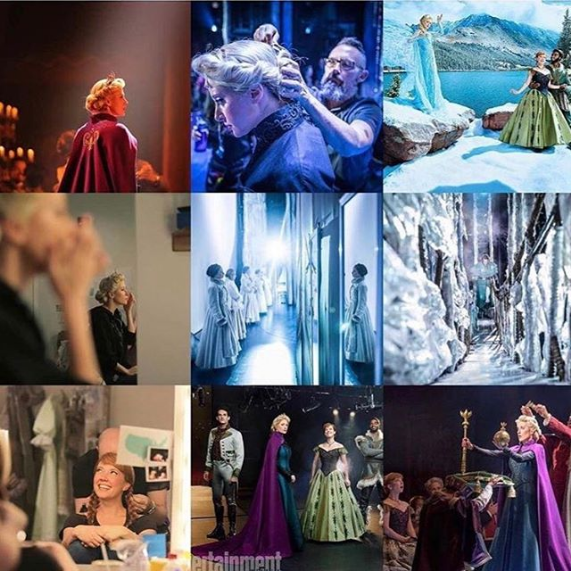 As you can see from the collected images in this post, the promotional material and photos are emphasizing the familiar, that is, the movie brought to life (though clearly with better quality than either the Once Upon A Time experience or the Disney Parks and cruises Hyperion version). 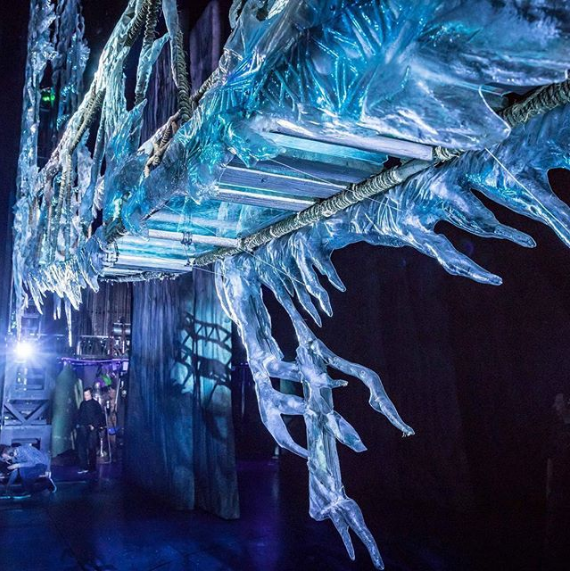 The attention to detail and scale of the costumes, sets and puppet construction and manipulation is excellent and very likely, exactly what the audience are handing over their big bucks to see. “Bunad is the traditional Norwegian dress, and it’s the recurring theme of all the garments in the show. We were able to research it thoroughly through books and by visiting Norway; it’s still how they dress on festivals and occasions, and there are shops that sell contemporary versions of it and museums that have collections of antique versions of it, so you can see how it’s developed and changed. There are some approaches, since The Lion King, that have become, well, standard, for Disney stage-adaptations, specifically, the puppet-actor-hybrid. 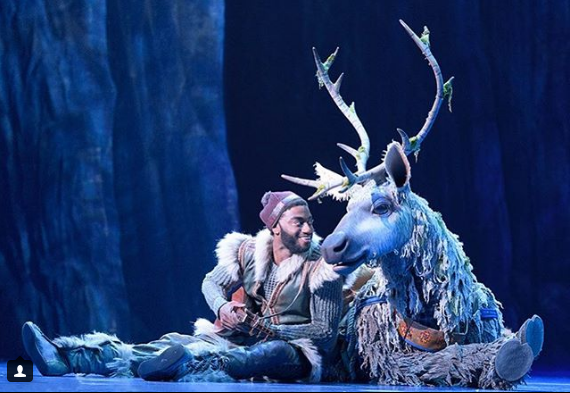 It should come as no surprise that this is the approach for Olaf, Elsa's snowman-come-to-life (which his far preferable over the Theme Park-like full-character costume, as far as creating an emotional and comedic stage performance goes), and also for Sven the Reindeer (created by acclaimed puppet maker Michael Curry). Reports are (so far) unanimous that both Sven is even better than the movie. 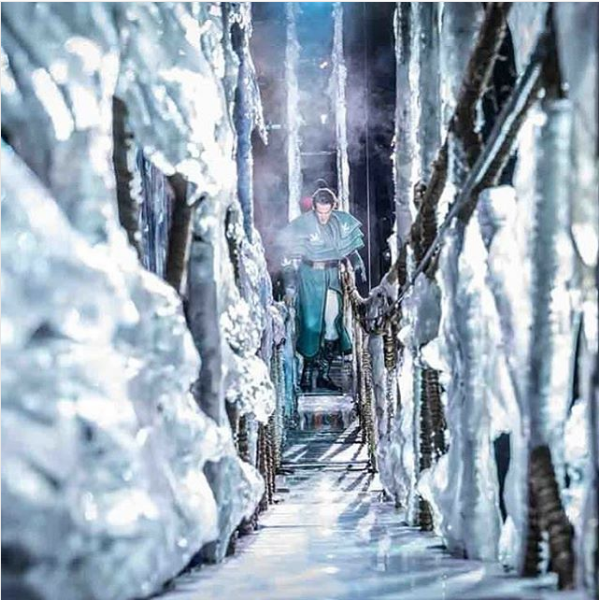 Olaf isn't getting quite as warm a reception all round, though critics agree the actor-puppeteer does a fantastic job. There’s a lot about origin. Animation is haiku. We can put up simple images on screen and you get it; you know what’s going on. And you accept a very brief statement as fact. 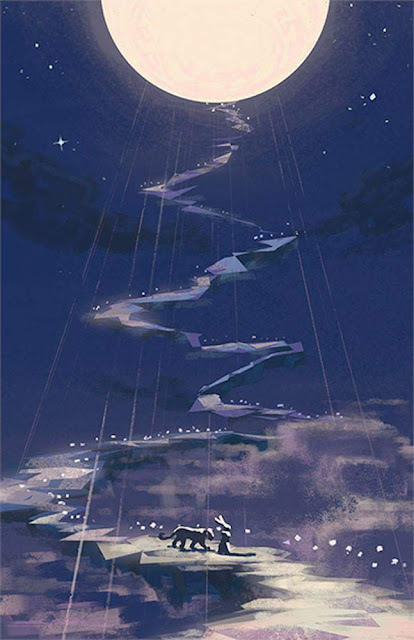 [There’s] this notion that fairytale, if you will, sort of hangs over the film. What’s interesting about Frozen now is this idea that Anna is living in a fairytale world and Elsa is living in a mythic world. You think about it and you go, “Holy cow!” I’d like to tell you that was my original thought, but Jennifer Lee pointed that out to me at one point. 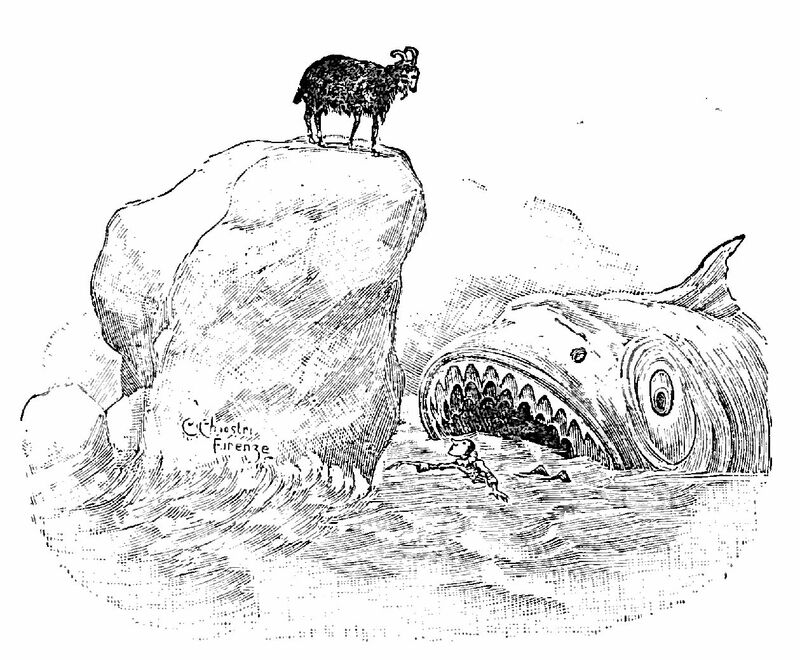 She said, “One of them is in a fairytale and one of them is in a myth, and these two things have to crash together at the end.” It’s a big idea to think about. 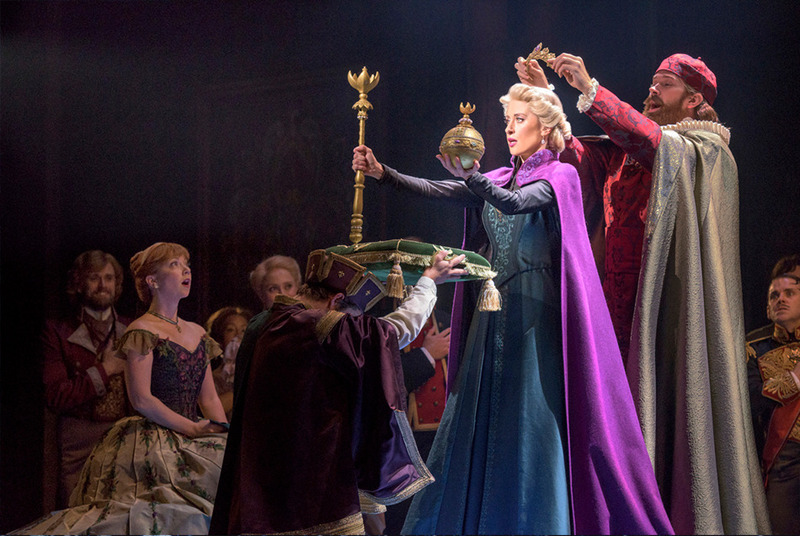 We also ask, “What is the circumstance of Elsa’s power?” It’s another big idea to think about. Also, who are those creatures that they go see for healing? That’s the real story there: Who’s connected to all of that? How does that exist? But the biggest idea is about love and loyalty, and love versus fear. Can you let go and love? Can you exist without fear? What if your whole life were simply controlled by fear? But what are those differences? These “huldufólk” (basically Icelandic elves) apparently have tails too, though how they are played is unclear. 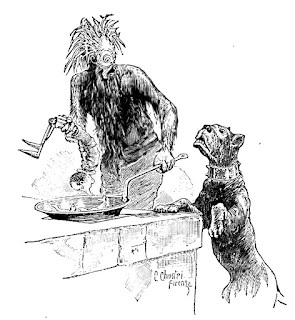 (Reception has been mixed - very positive through to "creepy".) 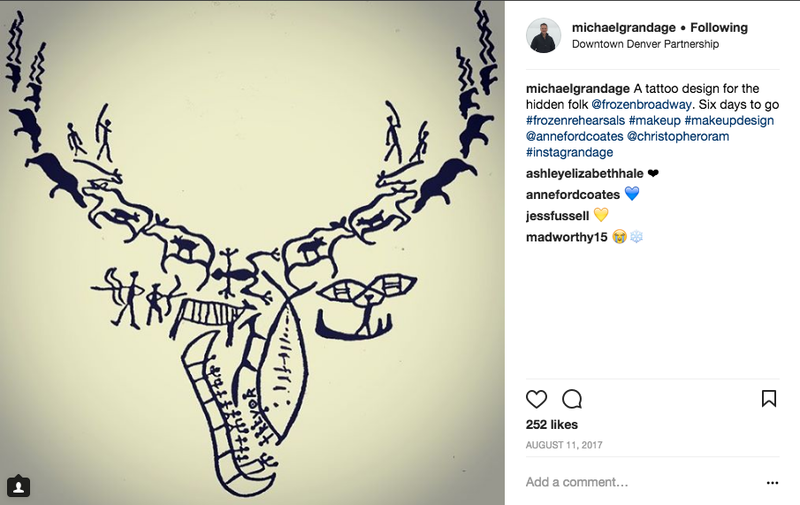 How the tattoo design for them, revealed via Director Michael Grandage's Instagram is used, is also unknown. So there are now no "rock trolls", as they are replaced by the "hidden folk" or “huldufólk”. 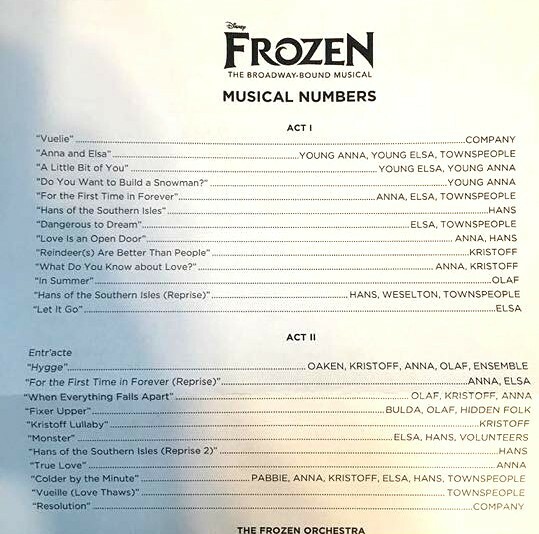 The show now has twenty-one songs, more than double the film, including the original favorites, with the new ones all having been written by the original, Oscar-winning husband and wife team Kristen Anderson-Lopez and Robert Lopez. Those songs include "Dangerous to Dream" and the just-released "Monster". So gone, too, is Marshmallow, the giant snow-guardian of Elsa's ice-palace, replaced, essentially, by the "Blizzard chorus'. The wolves that chase Anna and Kristoff (and Sven) are also out. Any Differences From The Tryouts In Denver? *Jennifer Lee who co-wrote and directed the hit animated feature, also wrote the book for the Broadway version. 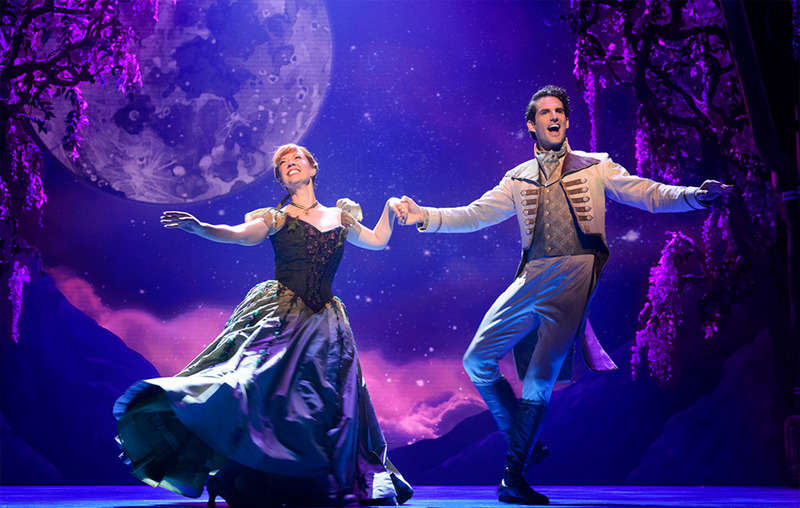 Broadway audiences will see a show that’s about 30 percent different from what was seen in Denver, Grandage and the Lopezes say. “A character we created we got rid of, we changed the opening, we changed the closing, we changed four huge numbers of choreography. 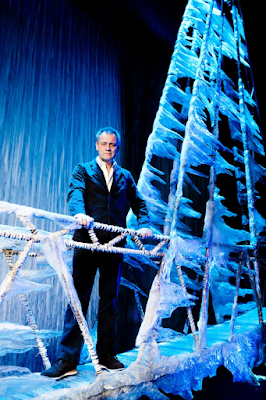 And the whole reason is to make it more poetic, clearer, more precise,” Grandage explains. 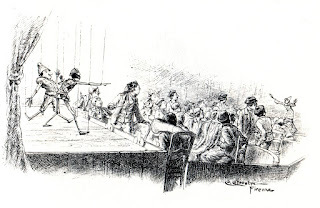 Rather than repeat what's wonderfully collated elsewhere, HERE's a "round-up" of the good, the bad, the wows and the indifferent comments from critics so far, (possible spoilers if you've skipped those sections here, so be warned). 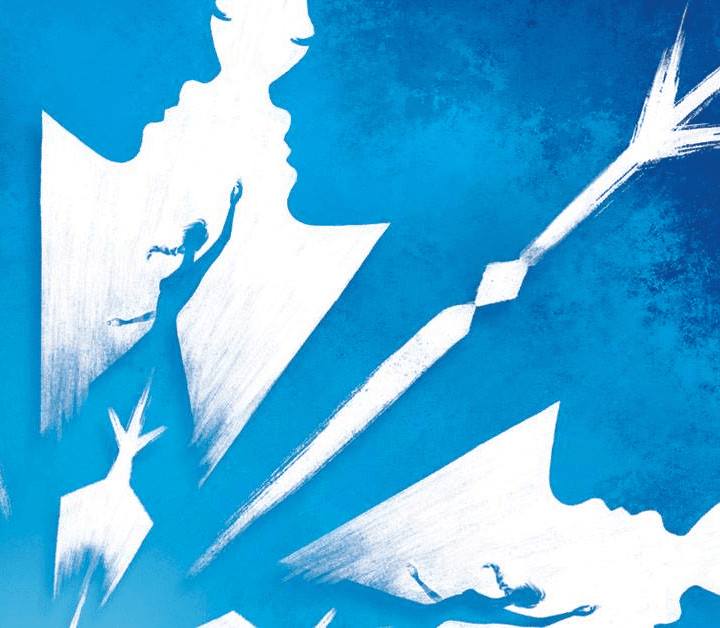 Folks will be glad to know the "Let It Go" sequence doesn't disappoint. 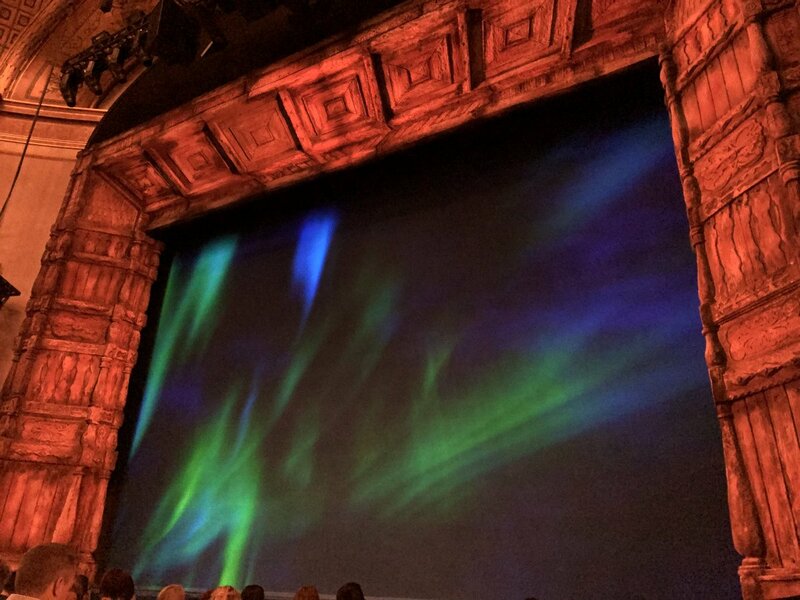 The sets, lighting and visual effects throughout the show seem to be getting thumbs up all around. There is a much-touted addition of a Danish concept (and a song all about it) called 'Hygge', (pronounced HUE-gah) which translates as "enjoying life's simple pleasures", and has a 'burlesque' (!) 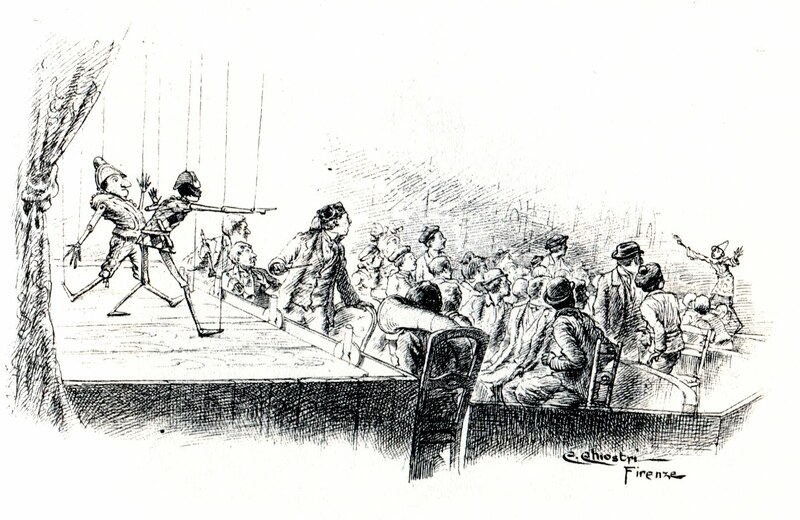 chorus, which some audiences are finding ingenious while others are just baffled by it. Anna joins Oaken's family in their sauna (all having towels!) and gets into the 'Hygge mood'. (Kristoff does not - he stays on task.) Hygge, acting like the 'Hakuna Matata' of this musical seems to be key to the message and themes of the Broadway show, and while it's getting critical thumbs up for the music, it's not quite working for all audiences, possibly because of the burlesque staging (towels!) and dischord (so to speak) with where the story arc is at, at the time it's sung. 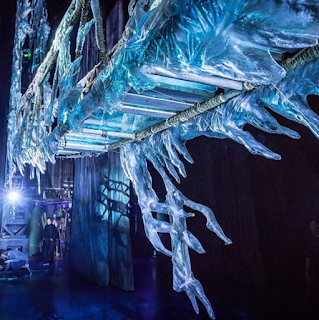 The issues might be more explicit than audiences expect, such as Elsa's exploration of her insecurities being so deep she appears to contemplate suicide during the song 'Monster' (something which the staging and performance apparently indicate). 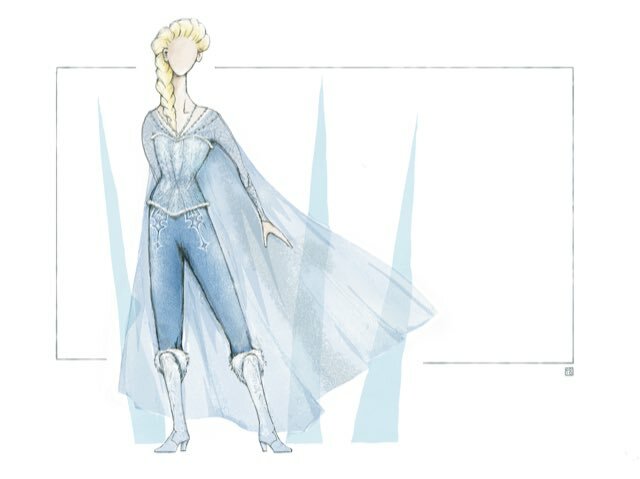 Elsa's pantsuit (below) has been advertised as making her "more powerful" - that hasn't gone over well. 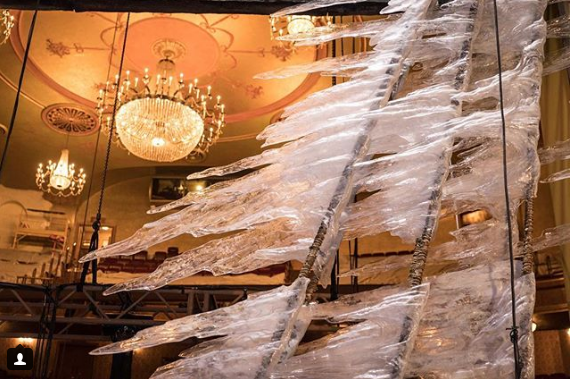 Elsa has a new - white - dress because, er... oh right: ka-ching! Anna has climbing leathers, at least for a while, but there are some concerns about consent, in how Anna is (apparently) manhandled into getting out of her party dress and into these travel clothes, then dragged around and treated like a complete klutz and only accidentally competent, all played for laughs and during a great song... hmm. 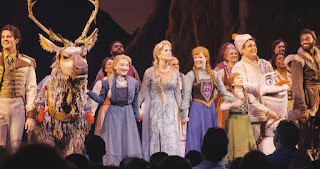 There is concern emerging from audiences so far that Kristoff takes away Anna's agency in many different ways, treating Anna as little more than a spoiled girl, with her being more a match for Olaf (essentially a child) than himself. 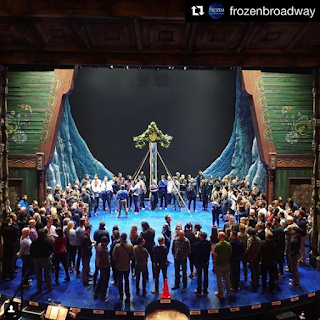 It would also seem the biggest 'moment' is more about the Anna and Kristoff kiss at the end than any note belonging to the sisters, which is a shame. 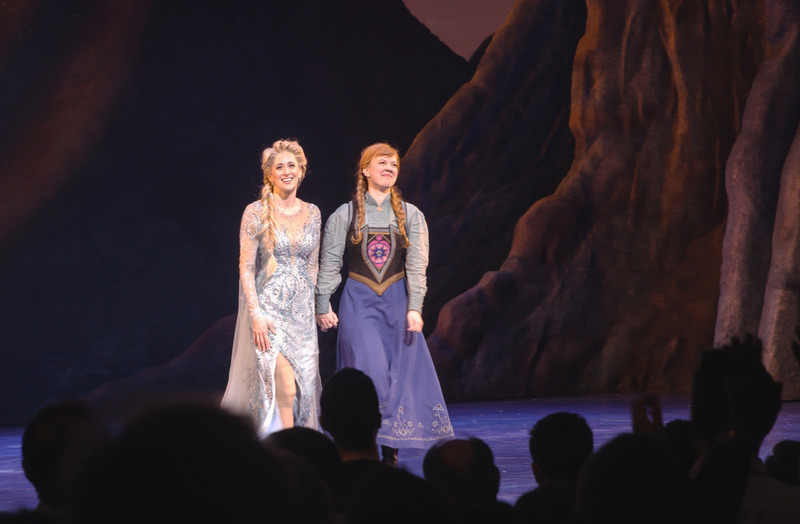 There is barely any interaction between Anna and Elsa, post Anna-thawing. To top off this odd emphasis, the closing song reprise/medley is a Love Is An Open Door/True Love (new song) combo. This is one spot where we would have expected a joyful variation or reprise of Do You Want To Build A Snowman. Currently, this seems to be a missed opportunity. 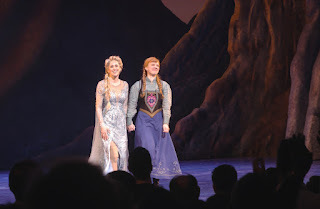 One of the subtle and odd differences is that in exploring Elsa's insecurity in more depth and in beefing up Anna's comedy in the manner they have, the women in the show now seem 'less',, in other words, weak. This might be the biggest and most worrying difference we've heard rumor of to-date - worrying also because the differences are subtly enrobed in what has been a girl-power and sisterhood 'anthem' to many, from the moment the movie hit screens. 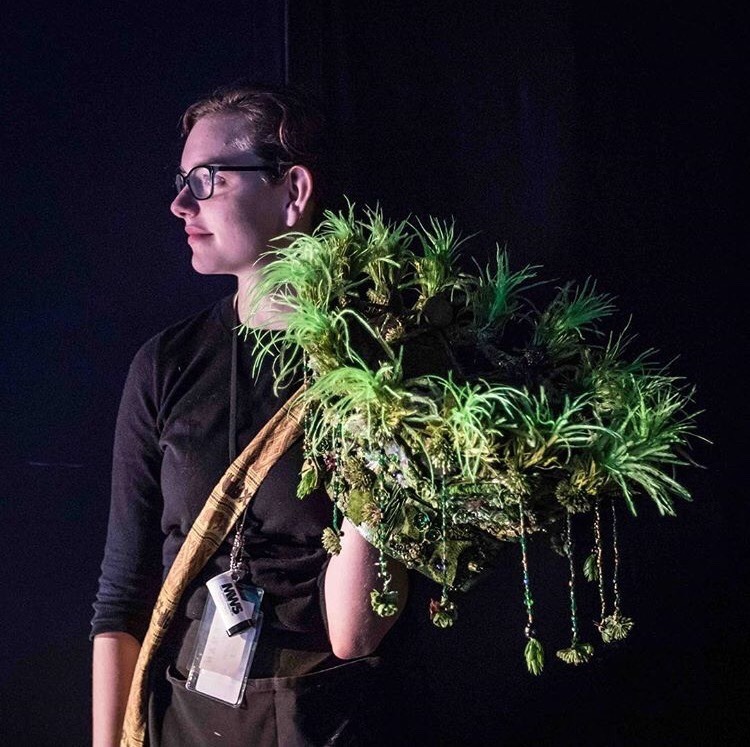 The sadly insidious and weakening differences may very well slide by unnoticed to the very people who should be planting that flag even more strongly for this 'new generation of theater-goers'. Would We Go To See It? Glen Keane with his early character drawings of the film's "spunky protagonist"
Note: Karlan Tam's series of paintings for 'The Jade Rabbit of the Moon', shown throughout this post (with credits added below each), are NOT related to the animation project. We're spotlighting them since they give a lovely visual overview of one of the story variations. Enjoy! 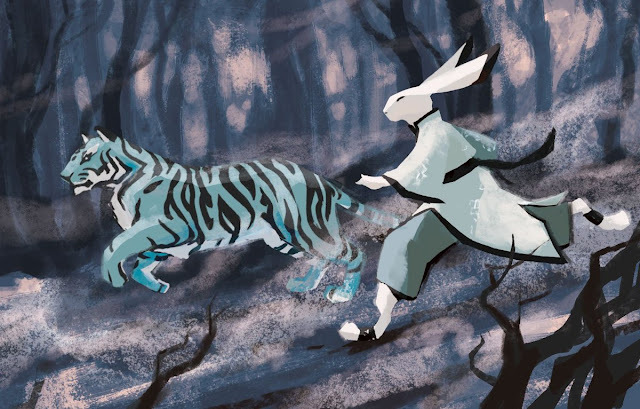 Though it's not clear which version of the Chinese tale, 'Lady of the Moon', inspired the new film-to-be Over The Moon (to be directed by the well-loved Disney veteran*), there's a good chance there will be a rabbit - or hare - in the story. 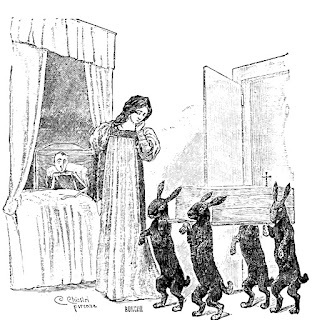 There are a number of versions of the Lady of the Moon folktale, some of which have the rabbit, with its jade mortar and pestle, as the central character, rather than a colorful detail. 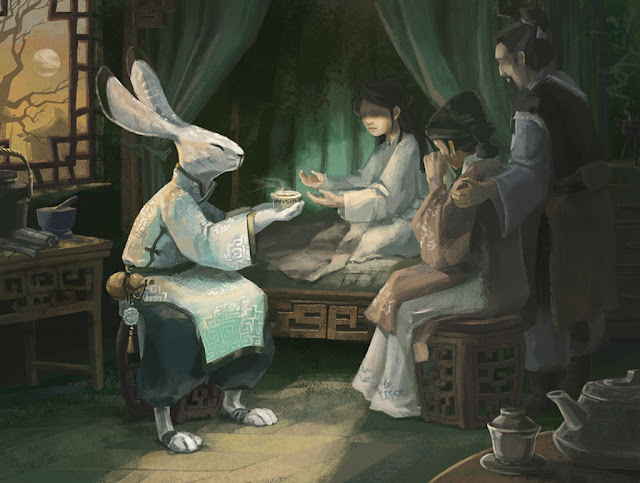 The Moon Rabbit, or Jade Hare, legend is widely spread through much of Asia, not just China, and even has a mid-Autumn festival based on it. We recommend visiting HERE to check out the variations on the Moon Rabbit. The article has simple, clear summaries with bonus images to give you an overview. 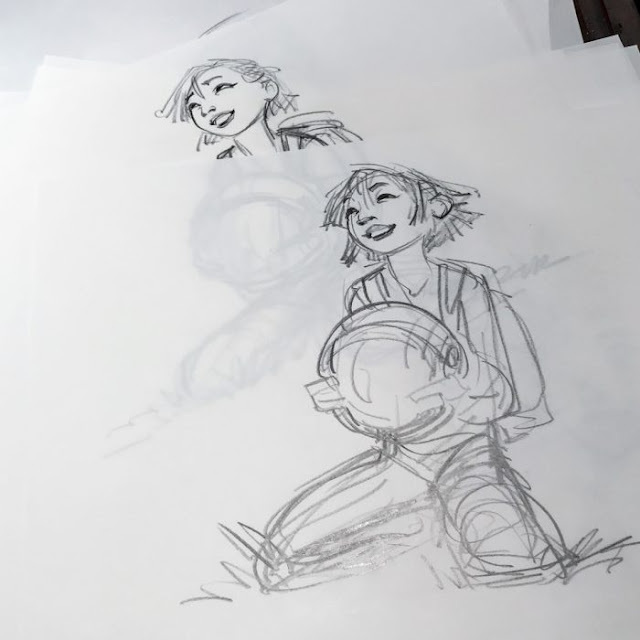 "...a musical adventure feature film about a girl who builds a rocket ship and blasts off to the moon in hopes of meeting a legendary Moon Goddess." The film will be an intriguing first test for Pearl Studio, which is mostly known for its work co-producing Kung Fu Panda 3. The burgeoning studio has yet to produce its own full-length feature, but it has several films planned aside from Over the Moon, including the Yeti-themed Everest and The Monkey King. With the hole left by Studio Ghibli, Pearl Studio is one of the many animation studios tussling for its top spot. And by collaborating with Keane, they’ve just raised their profile significantly. 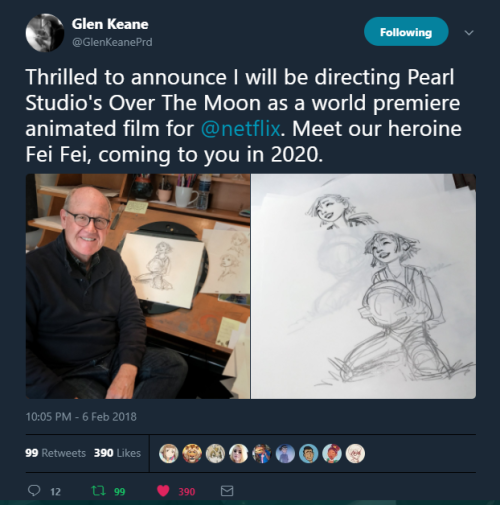 Over The Moon will be released in 2020 theatrically in China and around the world by Netflix. 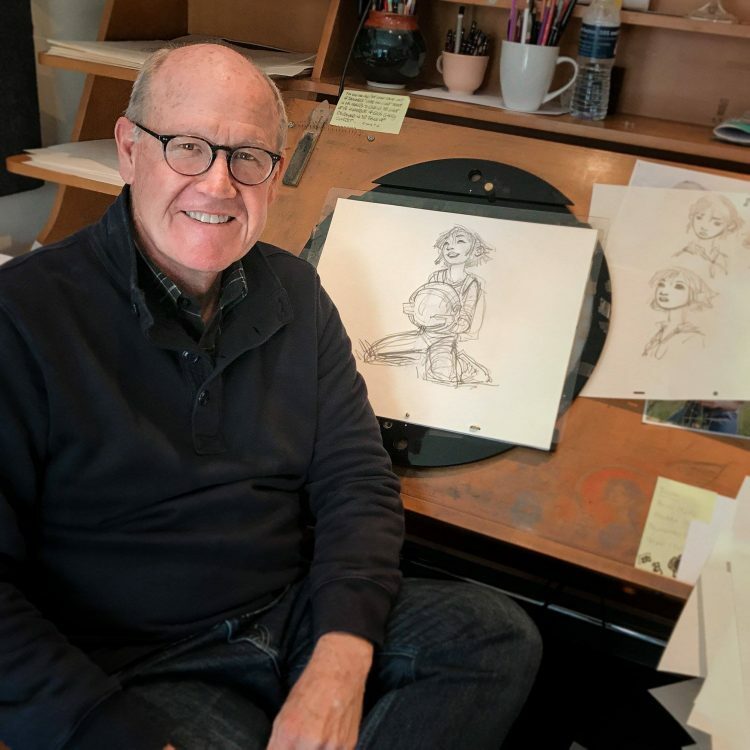 *Glen Keane is most known for creating the title characters of Disney animated classic films The Little Mermaid, Beauty and the Beast, Pocahontas, Aladdin, Tarzan and Rapunzel in Tangled. Paul King, helmer of the whimsical and acclaimed Paddington movies, has been chosen to direct the movie, with the studio hoping to being production this fall. Interesting metaphor and an intriguing line of thought to follow. 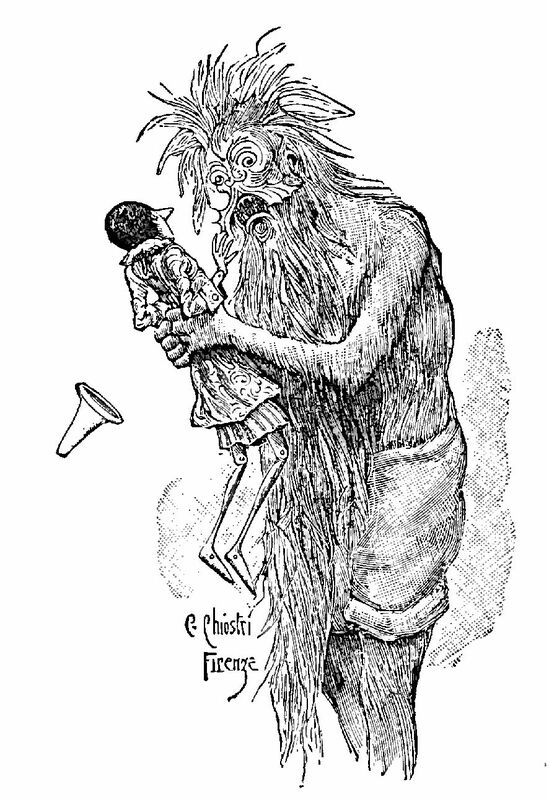 Stay tuned to Once Upon A Blog for an upcoming article on Fellini's wish to create a live-action Pinocchio, and some other fairy tales too. 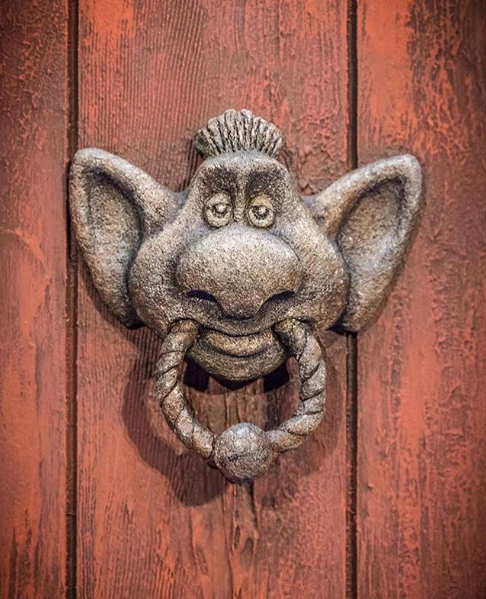 In the wake of the update on Disney's live-action Pinocchio getting a new director (see HERE for the quick news post), we thought it about time we finish this archived draft and give you some more Pinocchio news you might not have been aware of. Did you know Roberto Benigni, who went from wowing the world with his film, Life is Beautiful to freaking everyone out with his Pinocchio, originally talked with Fellini about making Pinocchio, with himself (Benigni) as the lead? While the Benigni Pinocchio film flopped, it did return the Italian sense of comedy to the story and there is a strong sense - or at least, various homages - to Fellini throughout. Perhaps it flopped partly because it didn't translate well to English (and the actual dubbing into English certainly did much more harm than good!) 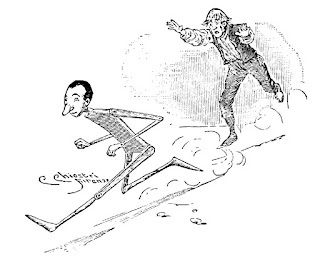 but in putting Pinocchio on film, Benigni did little more than try to remain faithful to Collodi (many would say "too faithful") and never brought a fresh filmic sensibility to the story, so that it would work in the different medium (ie. film, as opposed to the original, which was a serialized story). Fellini, though, had quite different plans for his version, which unfortunately never came to be. Would it have been better, as in better received and a better-made film? Who's to say. 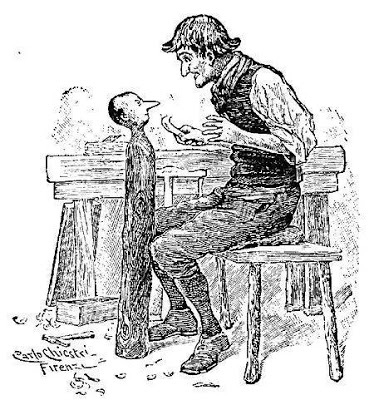 The trouble with making Pinocchio 'a real boy', literally, is that the character, and his journey and stories, easily become the stuff of nightmares. the very least that can be assumed is that it would have been 'Fellini-esque' and therefore a very, very different result. A film I have always wanted to make is Collodi's Pinocchio. it would be different from the Disney version. 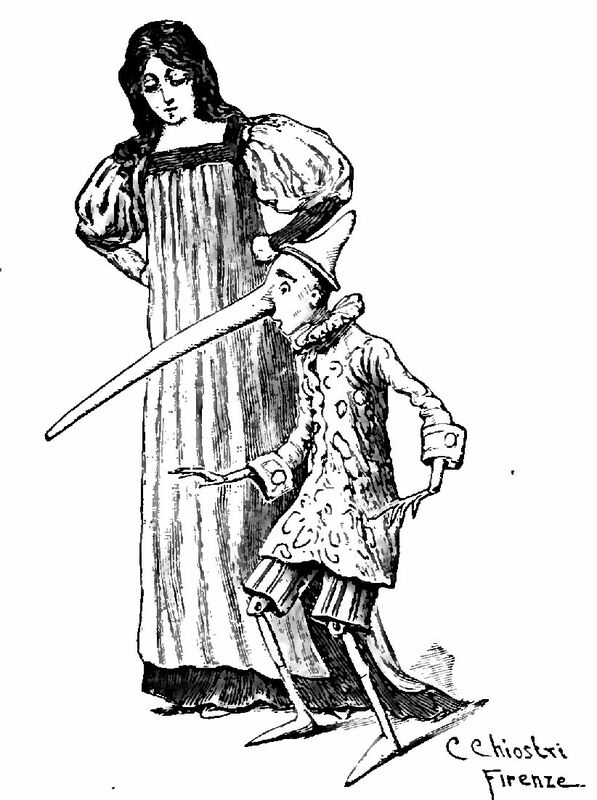 in my Pinocchio, every time the marionette said something untrue to a woman, it would not be his nose that grew. When I was little, a book seemed to be something to throw at your brother... 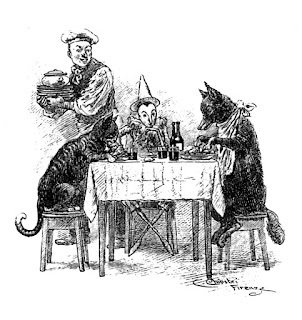 When I was eight or nine years old, I had my first happy meeting with a book that became a good friend to me throughout my life - Pinocchio. It's not just a wonderful book, but it's one of the great books. I feel that it has had an enormous influence on me. It was the beautiful pictures which first caught my attention. It was the way I wished I could draw. Through Pinocchio, I learned I could love a book, that a book could offer a magical experience, and this was, as it turned out, not just a book for childhood, but one that could be read forever, I have read it several times in my life since my early childhood discovery. 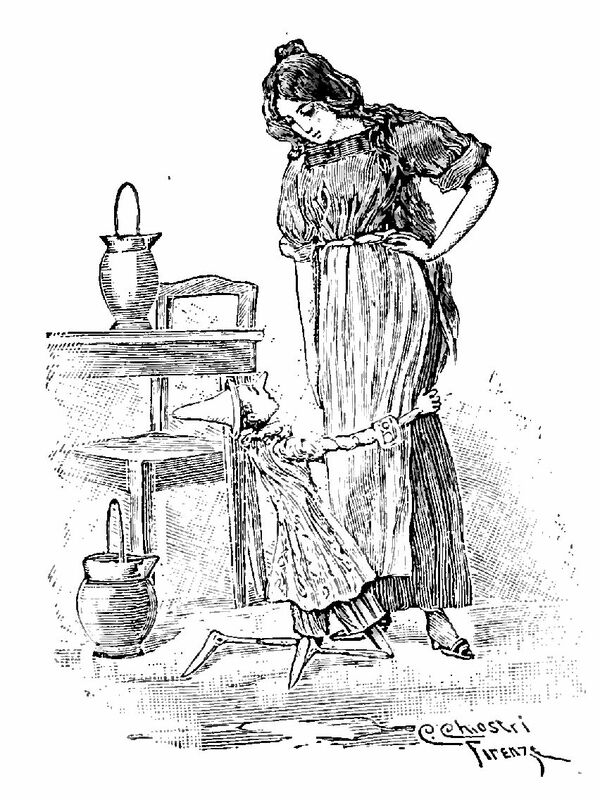 The end of the book is the poorest part because Carlo Collodi, as a nineteenth-century man, moralizes when the puppet becomes a boy. It is sad because, losing his marionettehood, Pinocchio loses his childhood, the marvelous life of knowing animals and magic, in return for becoming a good, conforming idiot. Pinocchio was born in Romagna, just like me. 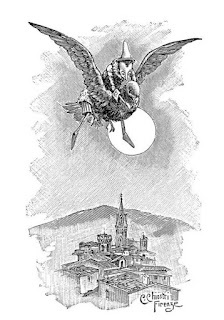 I wanted to make the story as Collodi intended it, with live actors, but in the spirit of the great Chiostri illustrations. When I was young, I used to practice drawing by trying to copy those drawings, but I could never achieve what Chiostri did. I had many ideas for showing Pinocchio in the Country of Toys in the film I would make. 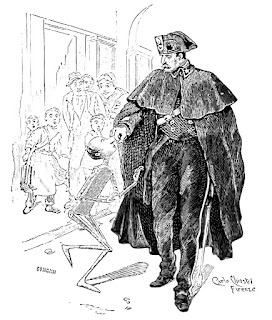 I did not identify with Pinocchio, but with Gepetto. 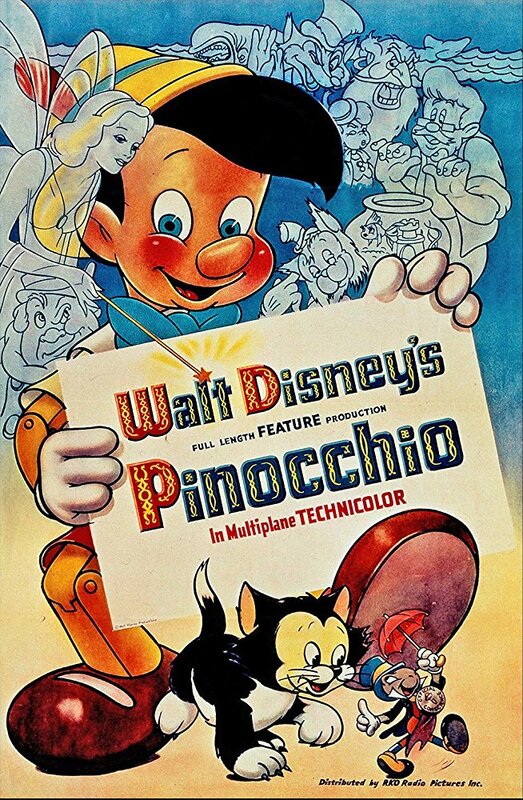 Creating Pinocchio was like making a film. 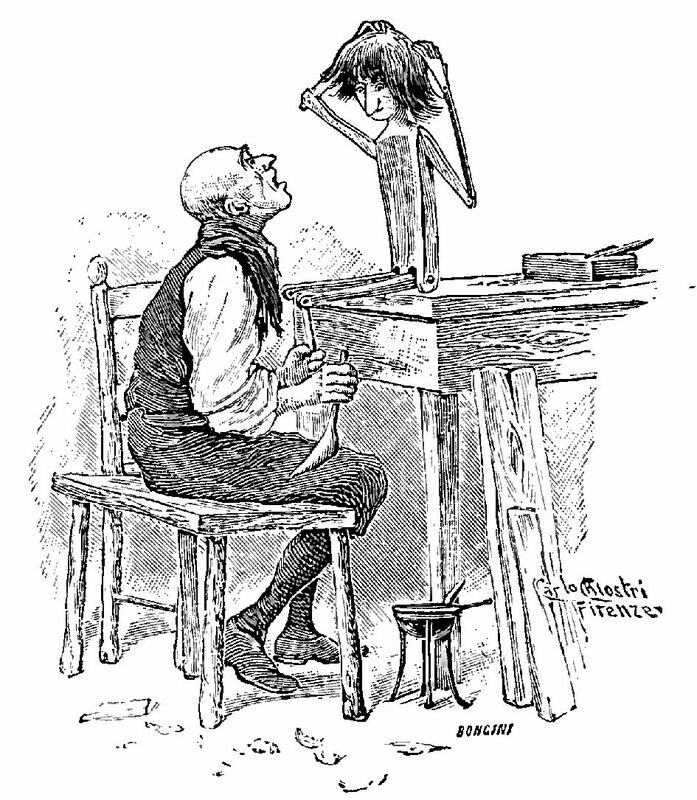 I could see the relationship between Gepetto's carving out Pinocchio and my carving out a film. 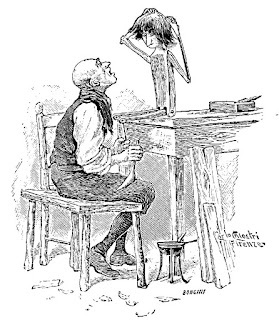 Gepetto was making the marionette from a piece of wood, but little did he know that soon he would not be in control. With every chip he carved away, Pinocchio was becoming more. It is exactly the way I feel when I am directing a film, as the film starts to direct me. Gepetto though he was the one in charge, but the more he carved, the further he got away from it. Pinocchio was one of my favorite friends. 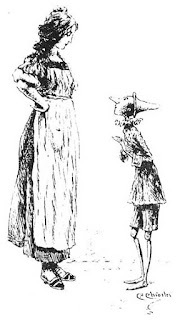 If I could have made the film, with live people as I wanted to do, I would like to have played the part of Gepetto, and there was only one perfect actor to play Pinocchio - Giulietta**. 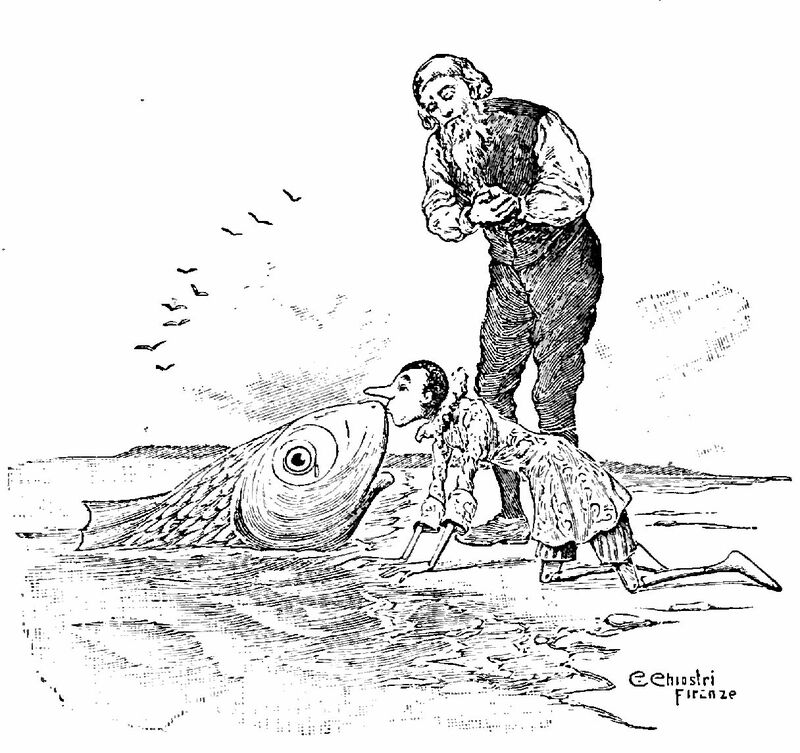 I have always been fascinated by the fairy tales of Charles Perrault and Hans Christian Andersen. Imagine - "Rapunzel." 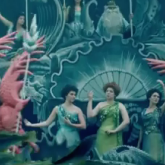 "The Princess and the Pea," "The Littel Mermaid"! 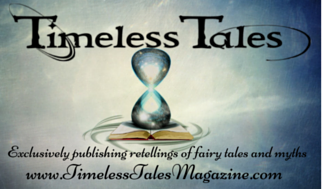 I would love to bring those fairy tales to the screen. 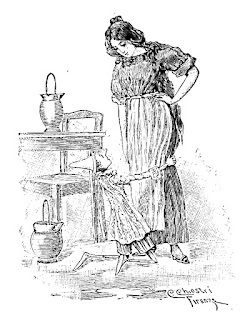 I have this vision of the princess there in her nightdress, so uncomfortable and unable to sleep, on top of a mountain of mattresses, not realizing that it is a pea under the bottom of the first mattress that is the cause of her distress. The scene is so developed in my mind that sometimes I feel I have already made the film. Poor romantic little mermaid who gives all for love, yet we understand, because each of us searches throughout life for love. "The Emperor's New Clothes" is such a profound concept. 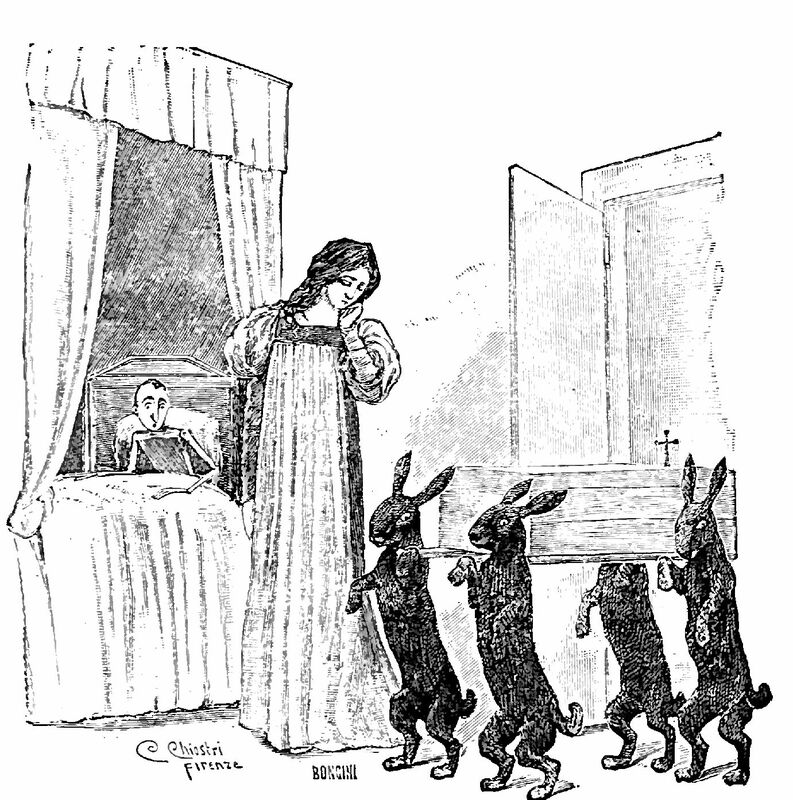 Fairy tales are one of the greatest expressions of man by men. Another reason I was attracted to Jung was his revealing interpretation of fairy tales as part of our subconscious history. Life is a combination of magic and pasta, of fantasy and of reality. Films are the magic, and pasta is the reality, or is it the other way around? 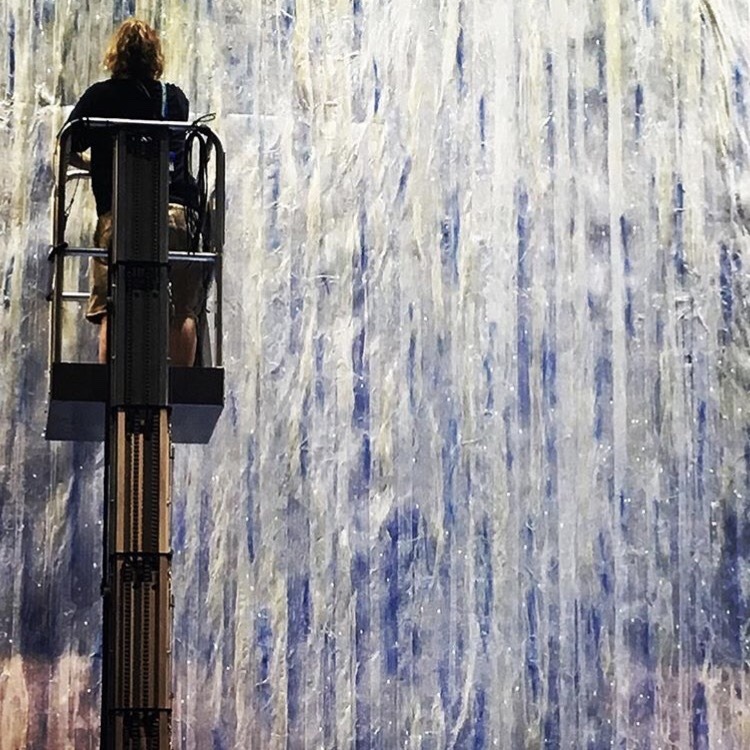 I have never been very good at distinguishing between what is real and what is not..."
RS: Aside from the circus and the artists Of Rimini, what else influenced you creatively as a child? 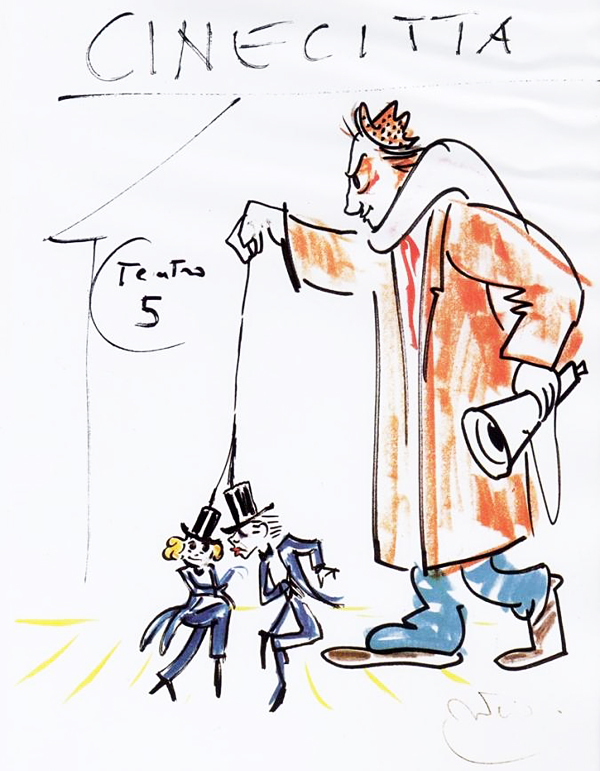 Fellini: Fairy tales. My grandmother used to tell them to me. 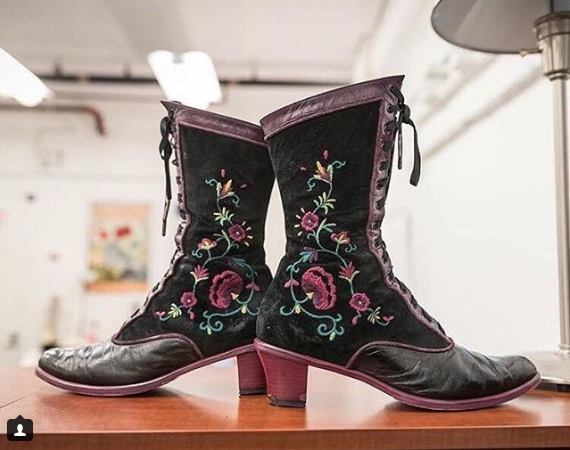 She was a farmer, a peasant, and her stories ‑ since she lived in the country and was surrounded by animals ‑ always concerned horses, cats, owls, bats. So we grew up to respect and be very curious about them. And still today, when I eat a chicken, I'm afraid that suddenly it will become a prince once it's inside me! [Laughing] I've always had ‑and still have‑ this feeling. Also, when I was eight or nine, Pinocchio: The Story of a Puppet was an enormous influence. It isn't just a wonderful book, for me it's one of the great books ‑ equal to Homer's Odyssey and Kafka's The Trial. And for my generation, it was our first happy encounter with a book. When you're small, a book is something very strange that belongs to the world of adults ‑ something that has to do with school, something that takes away your freedom ‑ unless there are beautiful pictures inside. And mostly it was something you could throw at your brother when you were fighting [laughing). But ultimately, it was something that didn't belong to you. 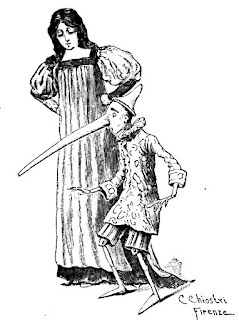 The encounter with Pinocchio was like coming upon a magical object ‑ it was a big bridge between life and culture ‑ so it had a special meaning, almost exorcistic. 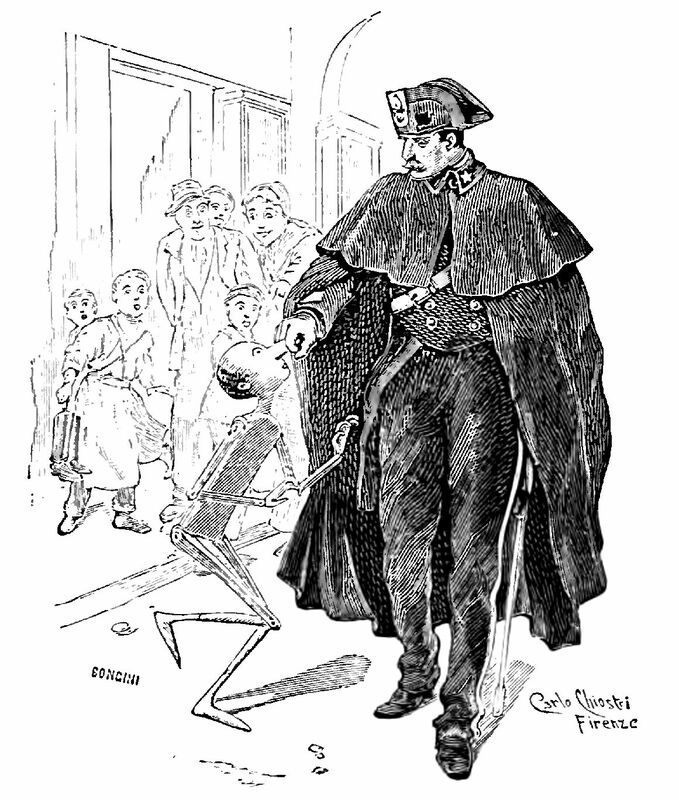 Now the author, Carlo Collodi, lived in the nineteenth century, so he had to conclude the book in a certain moralistic way. 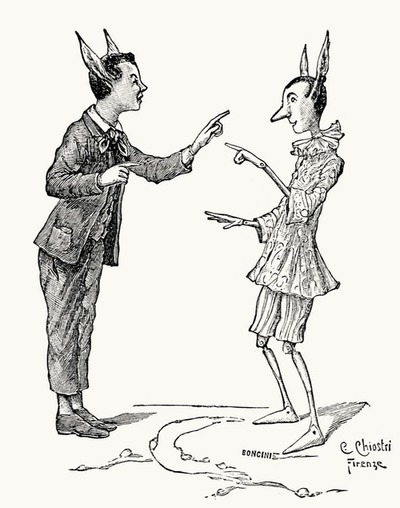 It ends with the transformation of the puppet into a boy. That, however, is the least interesting, and even the saddest part of the book. 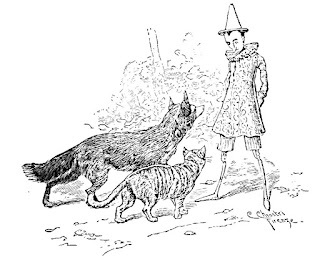 But, of course, it's true that we all lose the magical, childhood, Pinocchio part of our being ‑ being in touch with animals, with the night; with mystery ...in contact with life the way it should be. And with this loss, we become good idiots, good students, good husbands, good citizens. Pinocchio is a marvelous book because you can read it forever ‑ when you're a child, when you're young, when you're old. It has the simplicity of the Bible and lacks all presumptuous consciousness. And, indeed, it really is a work of magic. You can open it like a book of oracles, readjust one line, and it will help you. All your doubts and problems find an answer on those pages. We think we will never quite be able to think about Pinocchio again, without remembering Fellini and his enthusiasm. It certainly will make us look at Fellini films a little differently too. A little sidebar on the current 'Pinocchio' news to end: it should be noted, despite all this discussion of Collodi's serial story and the difficulties of translating the Italian sensibility of those stories for a non-European understanding (or affection), the live-action version of Pinocchio coming from Disney is not a remake of Collodi's book, but of the Disney classic animated film, so it will likely be even further removed from its origin in that sense. Not that, that is necessarily a bad thing. It just makes it different. 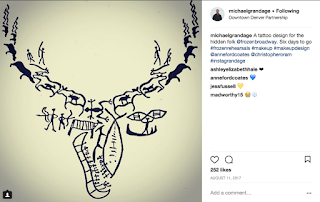 That the film will be made in this era (2018 on), with the current social US American climate, in combination with the resurgence of interest in tale origins and research (such a the wonderful #FolkloreThursday phenomenon), means this version-to-be still has many possibilities. Though intended, at pitch time, as a straight remake of the 1940 film, it's been the 'revisioning' of the classic stories (such as 'Maleficent' and Branagh's 'Cinderella' that have been most successful across the board - critically as well as in combination with popularity) that have made the most difference to how society is now viewing these tales. It will be an interesting case study either way. NOTE: All illustrations, apart from Fellini's self-caricature, are by Fellini'/s favorite Pinocchio illustrator, Carlo Chiostri. 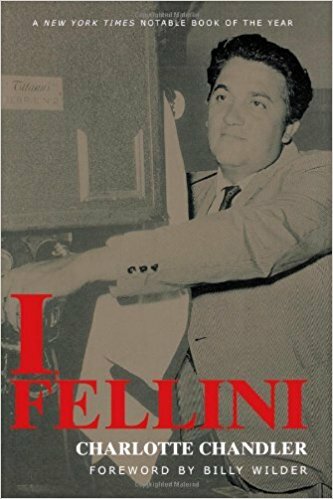 * Fellini was interviewed, with it also being tape recorded for his exact words, in 1980 and the book was originally published after his death (1993) in German as Ich, Fellini. Most of the book is written/related in Fellini's words.